Web series aren’t just for mid-00s comedy shows about nerds and the video games they play – they’re also for showing the development process and thoughts behind the story and world of Vampyr, Dontnod’s upcoming RPG about vampires (in case the title wasn’t clear enough). 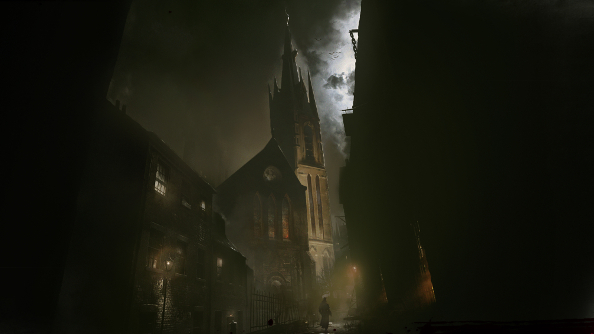 Over the next month, a new episode will be aired each week, on the development and choices behind Vampyr. Vampires aren’t quite zombies, but maybe they scratch a similar itch: here’s the best zombie games for PC. This first episode, titled Making Monsters, sets the stage: Dr. Jonathan Reid is a man of science, forced into the world of the supernatural, of vampires (Ekons) and werewolf vampires (Vulkods) and infected people (Skals). The contrast between his previous world view, of everything being explained through the scientific method, and his new perspective on supernatural creatures is a key part of Dontnod’s story. You can watch the first episode above, which also has a fair amount of gameplay footage – both in the narrative-driven, choice-based segments that are more like Life is Strange and in the combat, against both typical foes and the giant Vulkods. It goes on to give perspective from Philippe Moreau, game director, Stephane Beauverger, narrative director, and Oskar Guilbert, CEO of Dontnod, on the predatory nature of vampires, the hierarchies between the creatures of the supernatural world, and how Dontnod’s history in Remember Me and Life is Strange influences their future, how their identity as a AA rather than AAA title influences the games they make. Vampyr itself is coming out in Spring 2018, although there’s no more specific release date as of yet.